The Evansville Otters (perhaps) had a good luck charm in 44News when they battled the Florence Freedom Sunday. 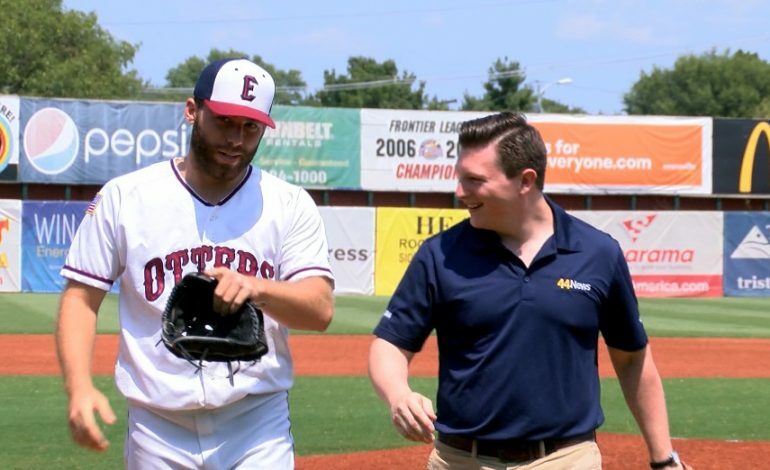 Chief Meteorologist Cameron Hopman threw out the first pitch of the game that eventually ended in a 6-5 Otters win. Austin Nicely threw five innings of one-run baseball and earned the win after Evansville held on late. Florence hit a grand slam in the bottom of the ninth to cut the deficit to one run before Alex Phillips registered the save. Next up for the Otters is a three-game home series with the Normal Cornbelters, who lead the Frontier League West Division. Evansville trails by 3.5 games in the standings, but can decrease the deficit when the series starts Tuesday. First pitch is at 6:35 p.m. from Bosse Field.